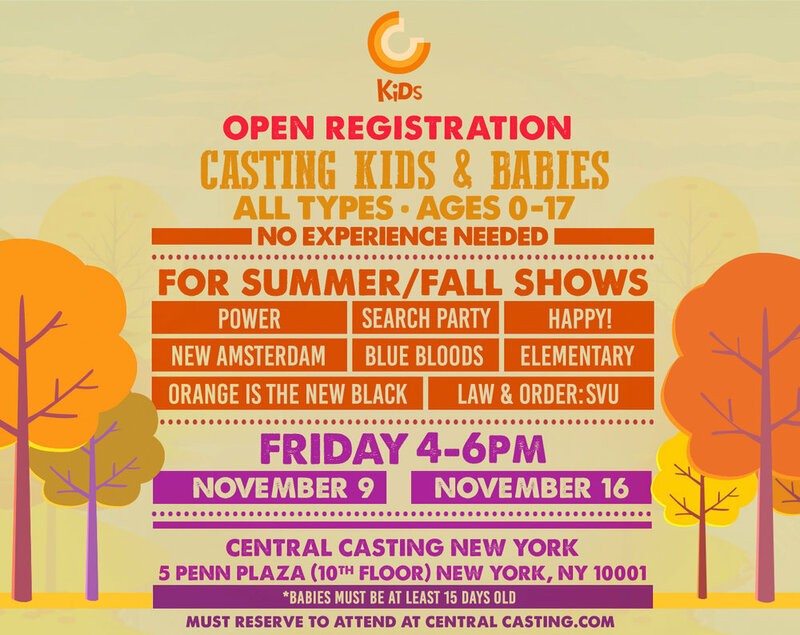 NEW YORK: Friday Open Registrations for Kids! Must reserve to attend, click below to reserve. 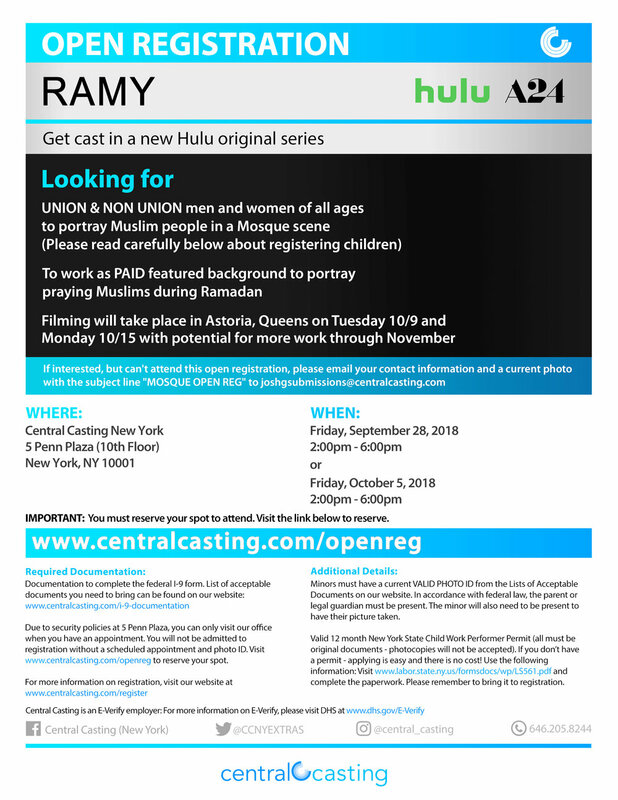 NEW YORK: Now registering people for a Mosque scene! 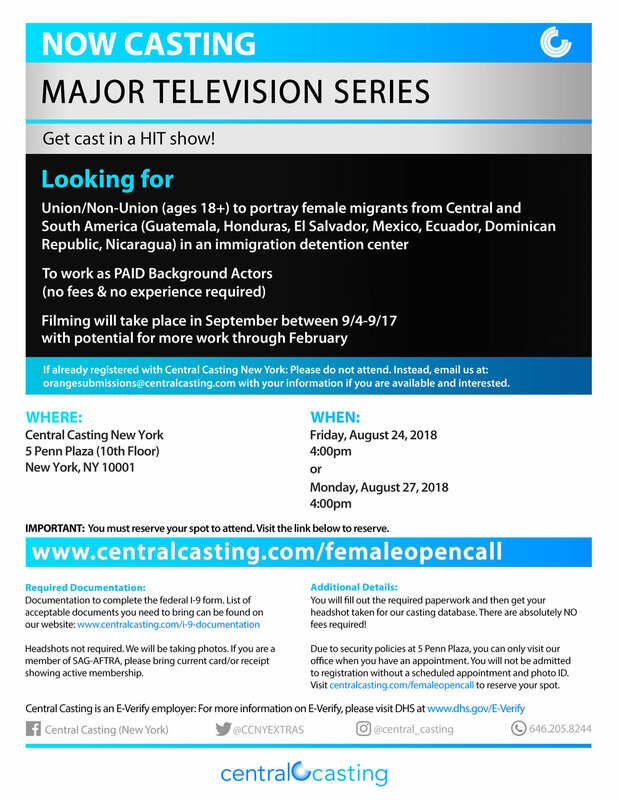 NEW YORK: Open Registrations for female Central & South American looks! 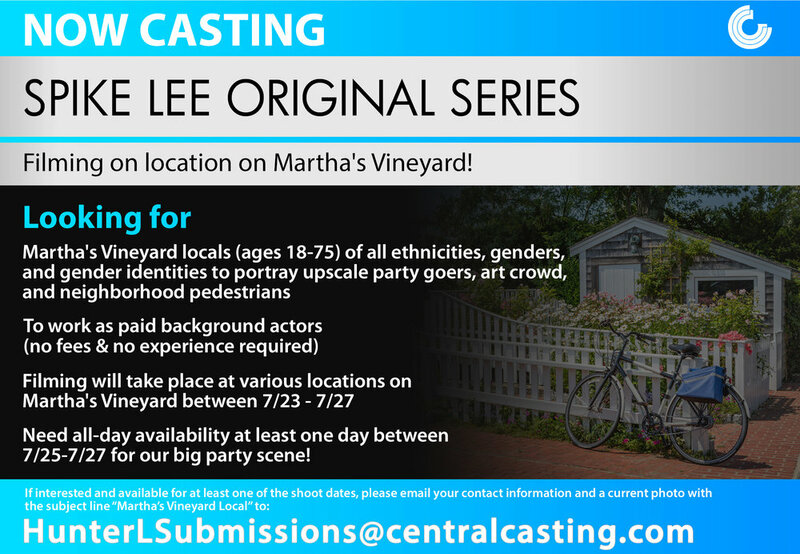 If interested and you fit the desired look, go to: www.centralcasting.com/femaleopencall to reserve your spot now! NEW YORK: We need minors! Friday registrations available!